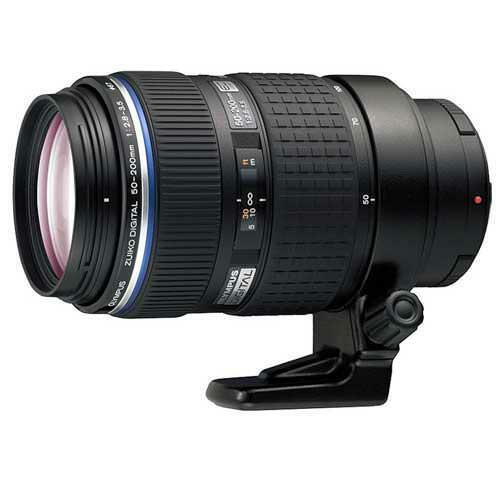 Lens Description: The Zuiko Digital ED 50-200mm f2.8-3.5 SWD lens is a high-performance super-telescopic zoom lens that features, for the first time, the SWD (Supersonic Wave Drive) autofocus system and covers a zoom range equivalent to 100 to 200mm of a 35mm camera lens. ED lens elements are used extensively to correct the color blurring that can occur when telescopic lenses are extended to their maximum focal length, while the digital-dedicated design ensures high-definition performance with clear, crisp images from edge to edge. Close-up shooting capability is also superb, with a minimum shooting distance of just 1.2 meters throughout the zoom range.